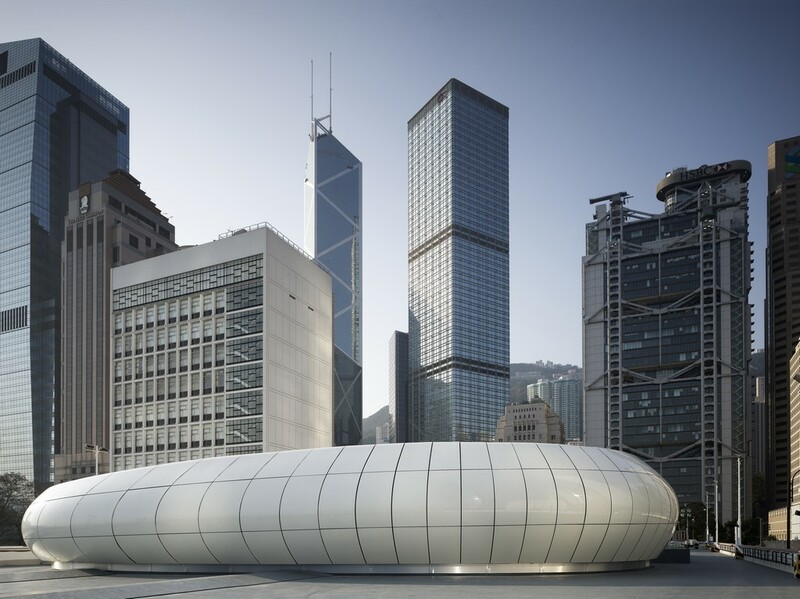 Mobile Art Pavilion, a travelling art space designed by Pritzker Prize winning, Iraqi born British architect Zaha Hadid for CHANEL, has opened in its first destination, Hong Kong. The pavilion, commissioned by Chanel head designer Karl Lagerfeld, hosts an exhibition of artworks inspired by Chanel bags by 20 artists and called Mobile Art. 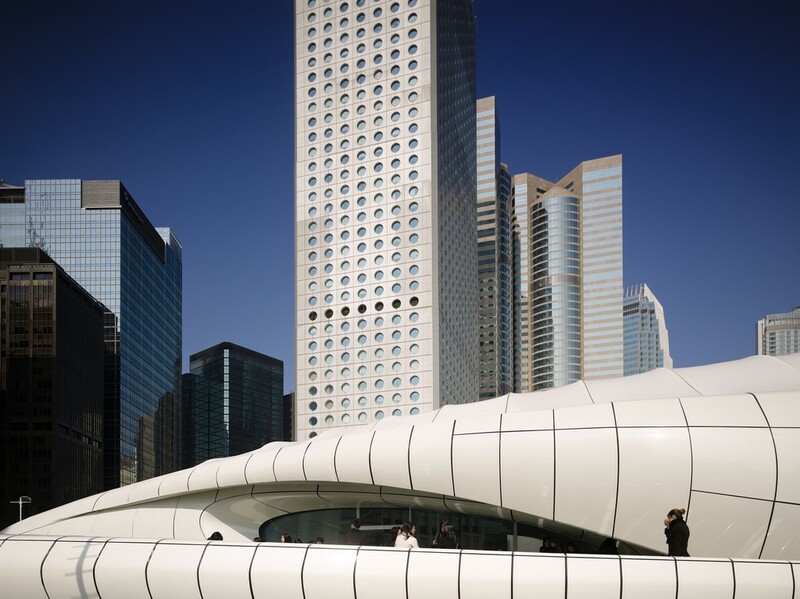 The Mobile Art Pavilion for Chanel by Zaha Hadid Architects has been inspired by one of Chanel's signature creations, the quilted bag. Chanel is renowned for its layering of the finest textiles and exquisite detailing to create the most elegant and cohesive pieces for each collection. 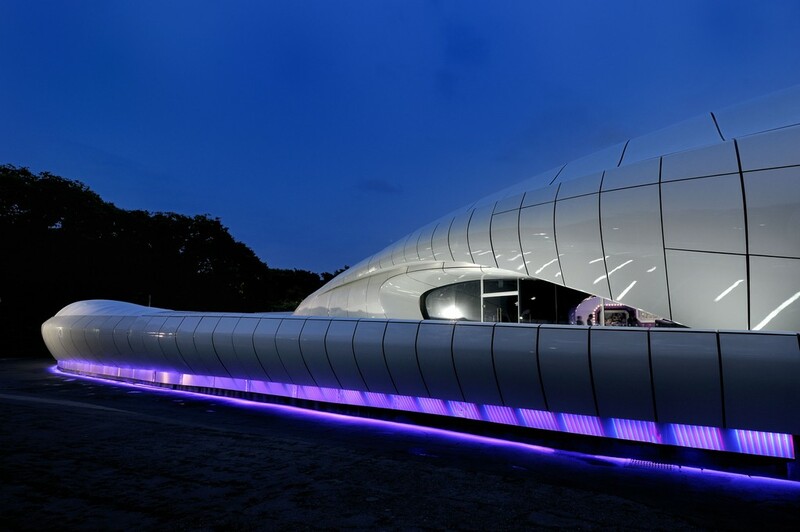 In her quest for complex, dynamic and fluid spaces the work of Zaha Hadid has developed over the past thirty years through a rigorous integration of natural and human-made systems and experimentation with cutting-edge technologies. 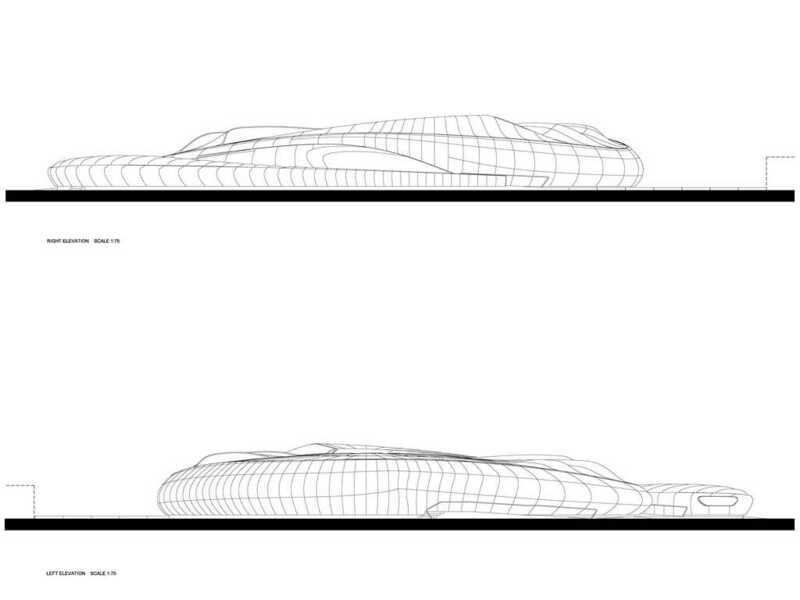 Hadid's architecture transforms our vision of the future with new spatial concepts and bold, visionary forms. "I think through our architecture, we can give people a glimpse of another world, and enthuse them, make them excited about ideas. 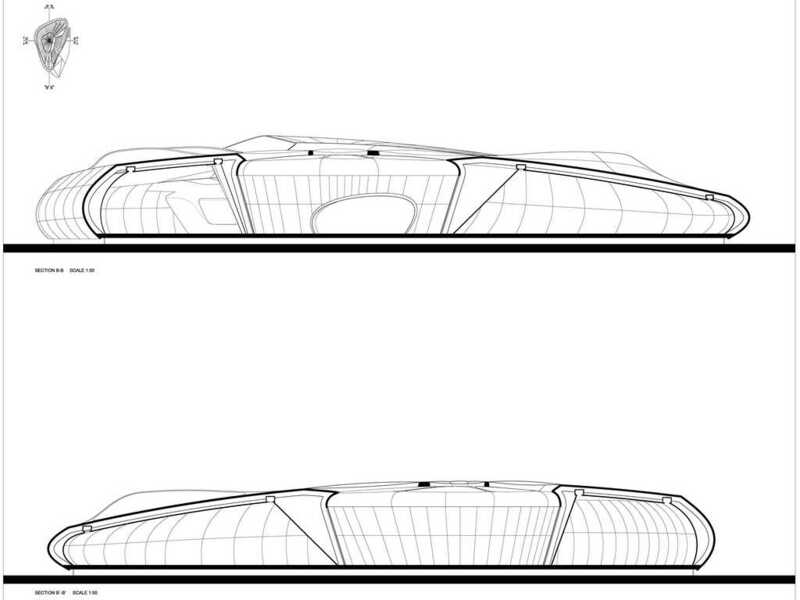 Our architecture is intuitive, radical, international and dynamic. We are concerned with constructing buildings that evoke original experiences, a kind of strangeness and newness that is comparable to the experience of going to a new country. 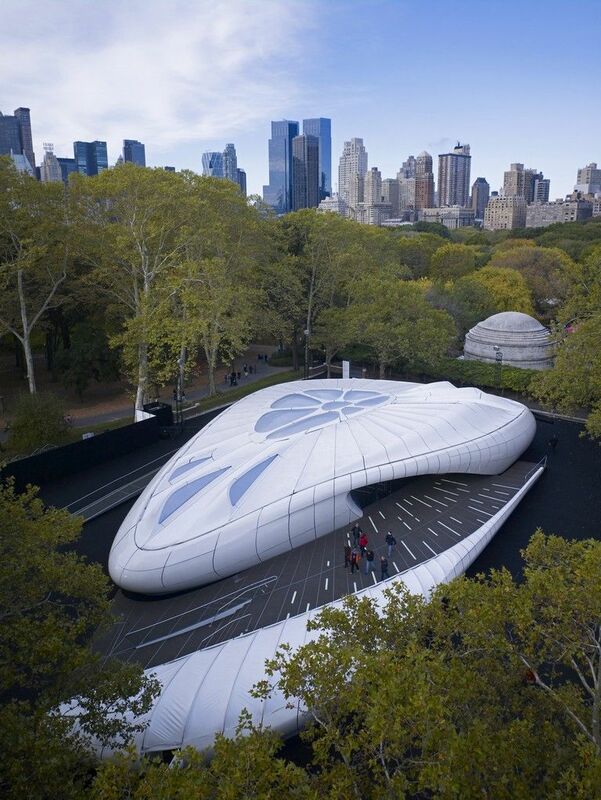 The Mobile Art Pavilion for Chanel follows these principles of inspiration," states Zaha Hadid. 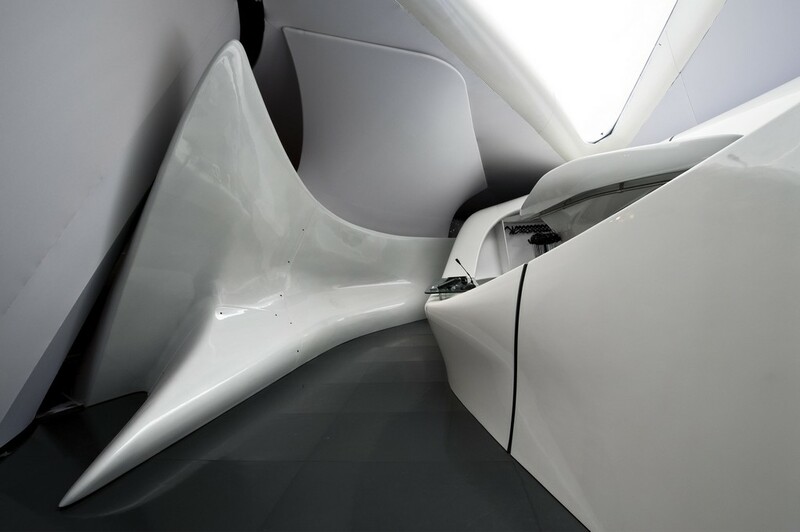 Continuing to arouse one's curiosity is a constant theme in the work of Zaha Hadid. 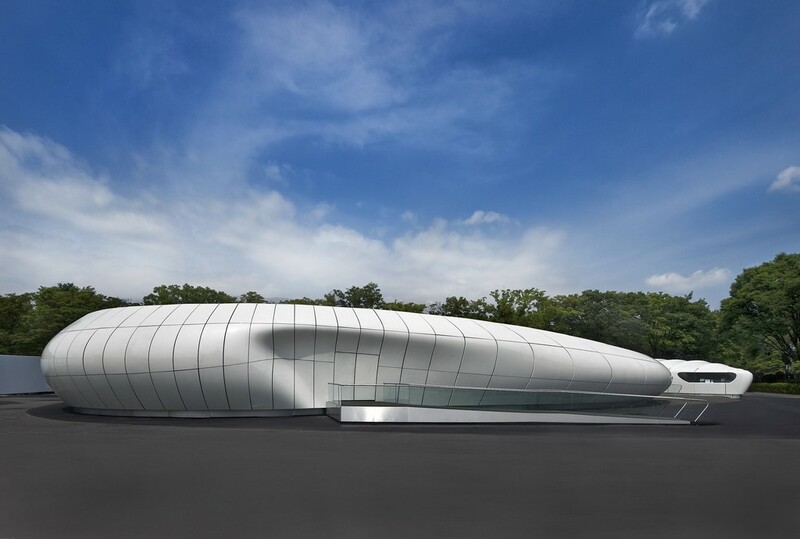 The Mobile Art Pavilion for Chanel is the very latest evolution of Hadid's architectural language that generates a sculptural sensuality with a coherent formal logic. 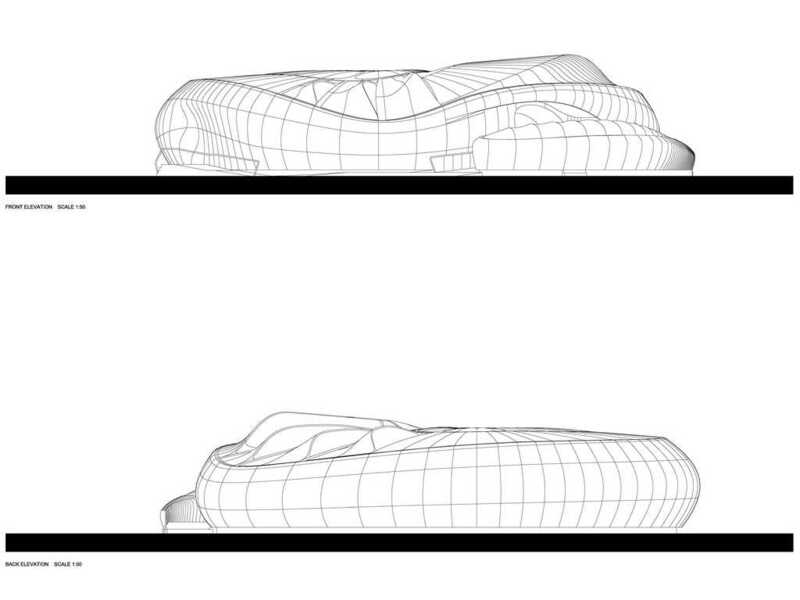 This new architecture flourishes via the new digital modelling tools that augment the design process with techniques of continuous fluidity. 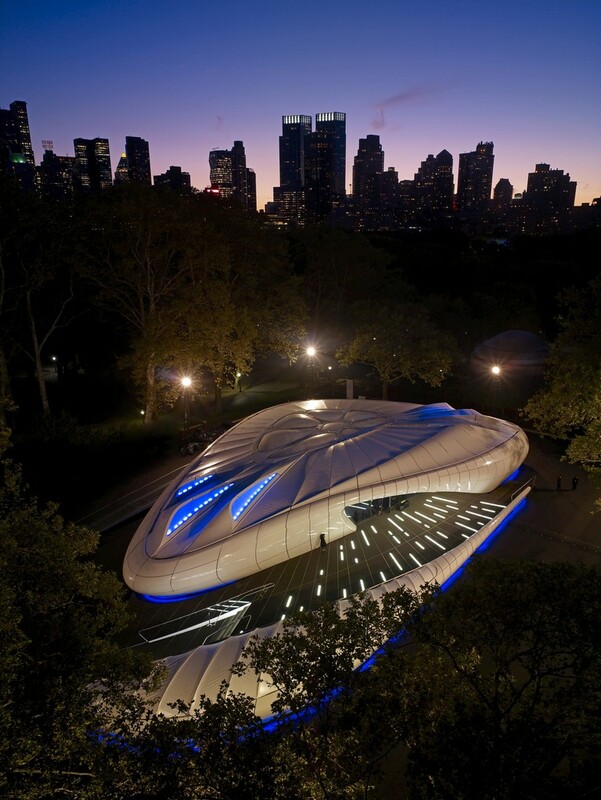 Zaha Hadid explains this process, "The complexity and technological advances in digital imaging software and construction techniques have made the architecture of the Mobile Art Pavilion possible. 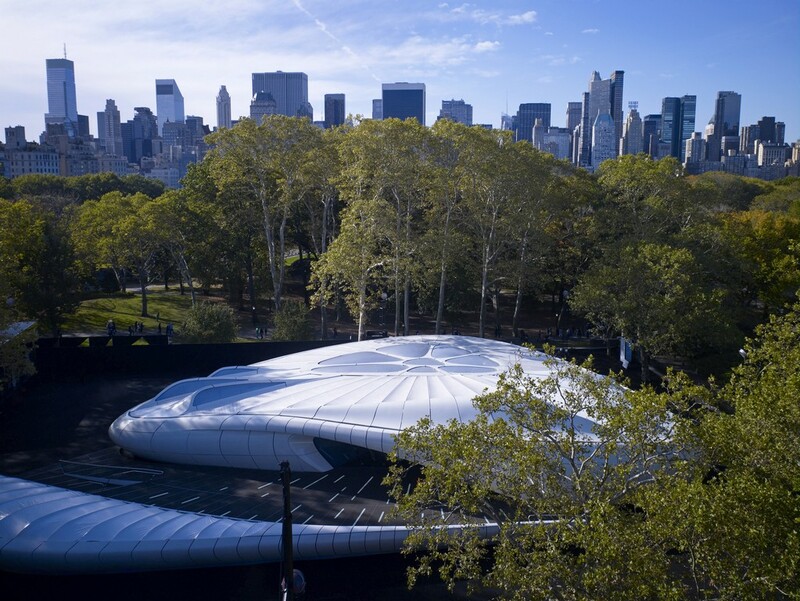 It is an architectural language of fluidity and nature, driven by new digital design and manufacturing processes which have enabled us to create the Pavilion's totally organic forms – instead of the serial order of repetition that marks the architecture of the industrial 20th century." 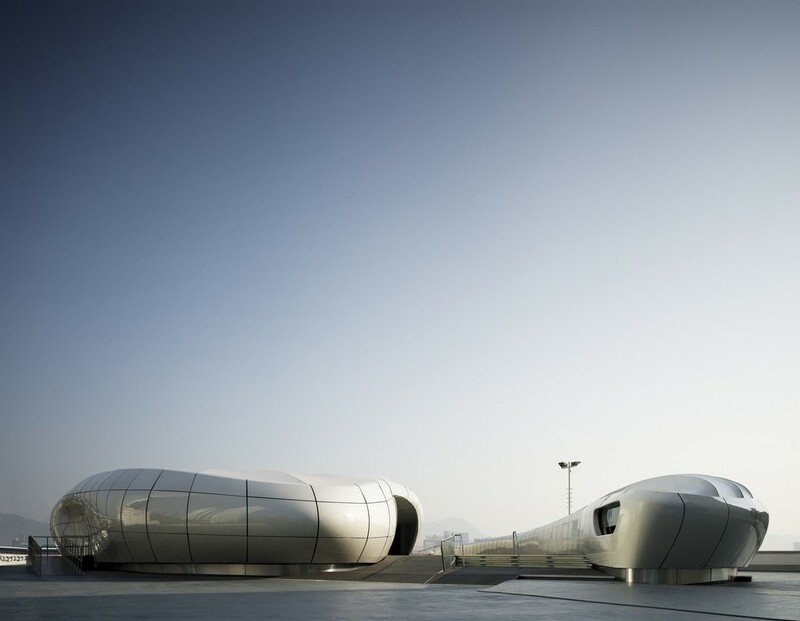 Hadid's innovative architecture is the reason Karl Lagerfeld invited her to create the Mobile Art Pavilion. "She is the first architect to find a way to part with the all-dominating post-Bauhaus aesthetic. The value of her designs is similar to that of great poetry. The potential of her imagination is enormous," Karl Lagerfeld explained during the launch of the Mobile Art Pavilion at the 2007 Venice Art Biennale. 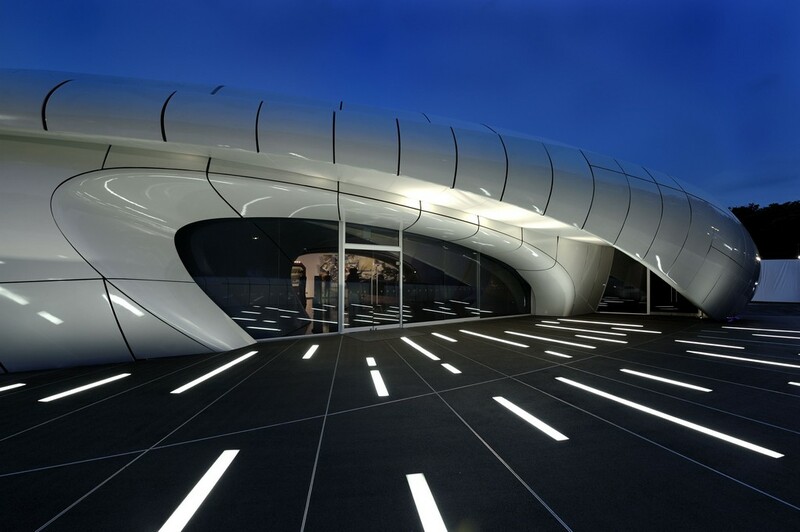 Zaha Hadid Architects' recent explorations of natural organizational systems have generated the fluidity evident in the Pavilion for Chanel. 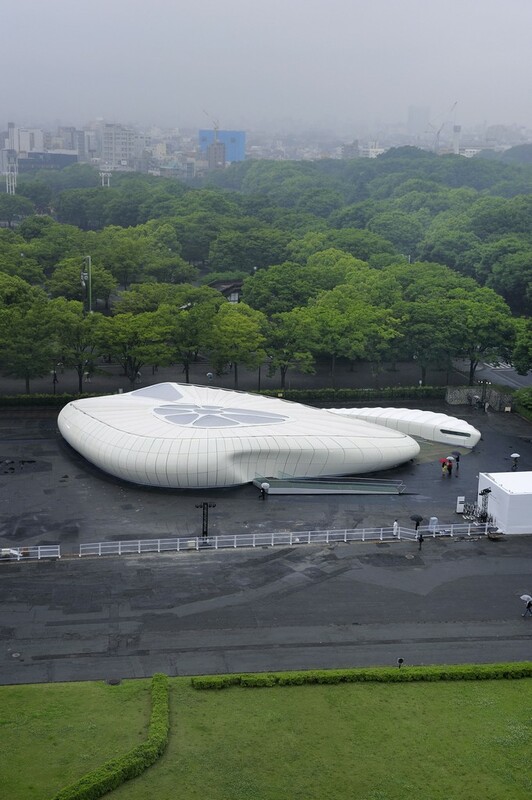 The Mobile Art Pavilion's organic form has evolved from the spiralling shapes found in nature. This system of organisation and growth is among the most frequent in nature and offers an appropriate expansion towards its circumference, giving the Pavilion generous public areas at its entrance with a 128m2 terrace. 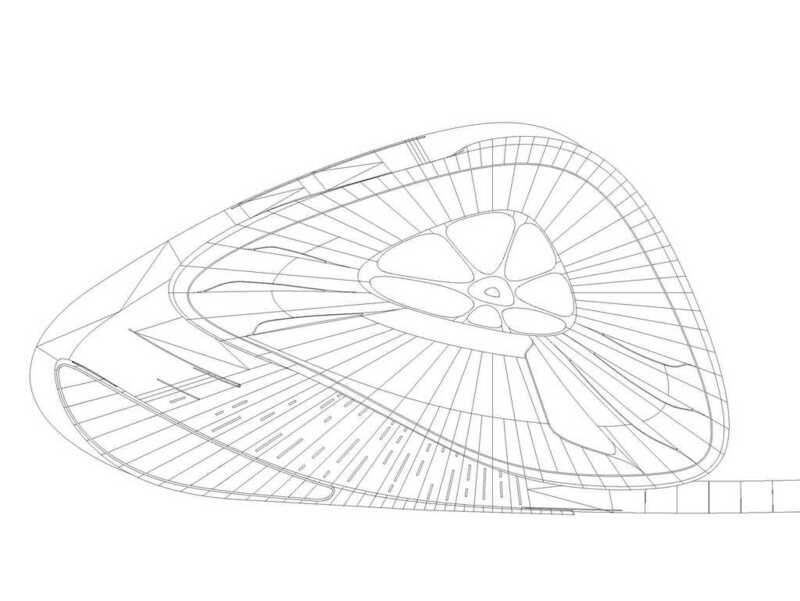 The Pavilion follows the parametric distortion of a torus. 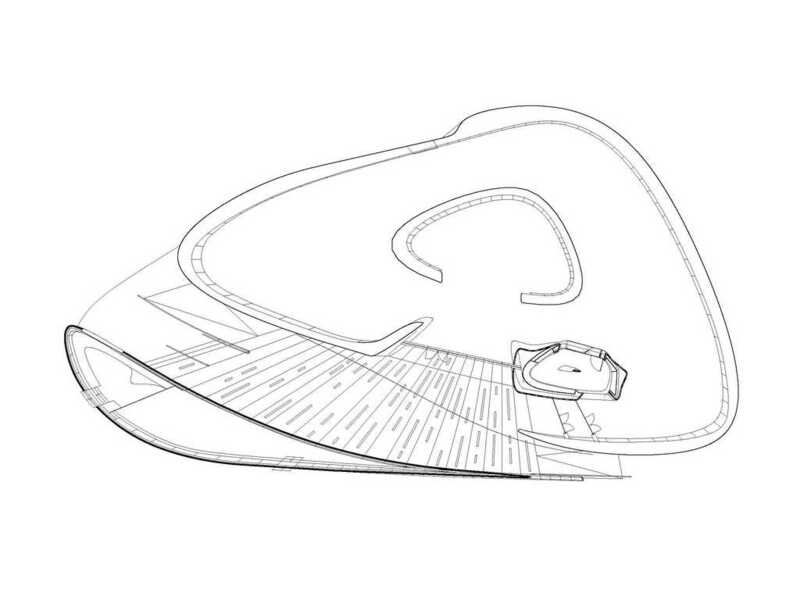 In its purest geometric shape, the circular torus is the most fundamental diagram of an exhibition space. The distortion evident in the Pavilion creates a constant variety of exhibition spaces around its circumference, whilst at its centre, a large 65m2 courtyard with natural lighting provides an area for visitors to meet and reflect on the exhibition. This arrangement also allows visitors to see each other moving through the space and interacting with the exhibition. In this way, the architecture facilitates the viewing of art as a collective experience. The central courtyard will also host evening events during the exhibition in each host city. 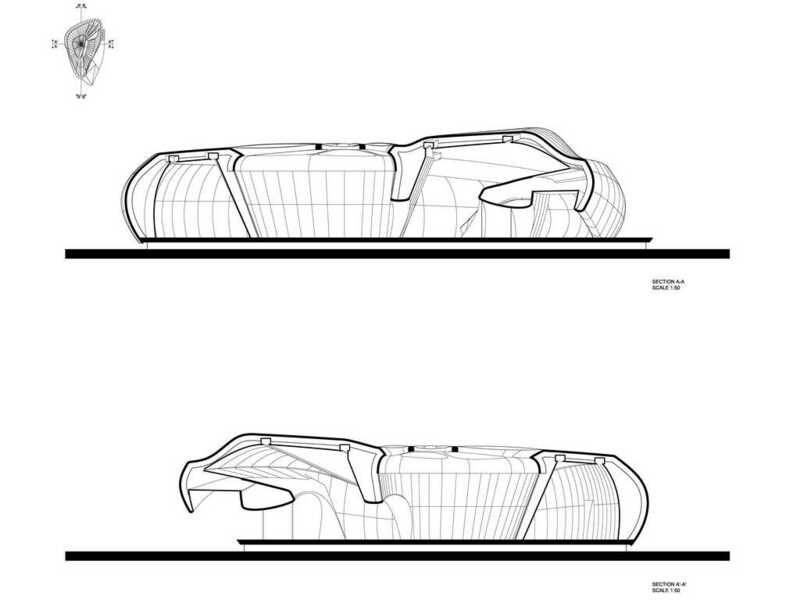 The organic shell of the Mobile Art Pavilion is created with a succession of reducing arched segments. 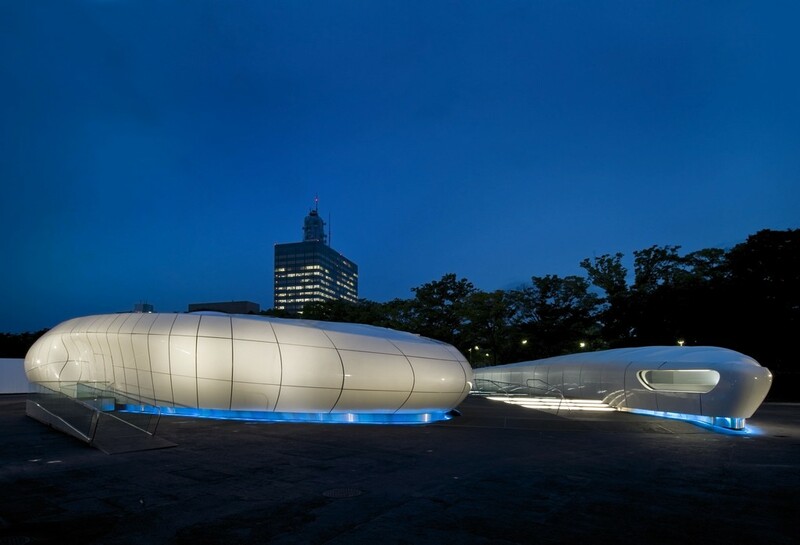 As the Pavilion will travel over three continents, this segmentation also gives an appropriate system of partitioning – allowing the Pavilion to be easily transported in separate, manageable elements. Each structural element will be no wider than 2.25 m. The partitioning seams become a strong formal feature of the exterior façade cladding, whilst these seams also create a spatial rhythm of perspective views within the interior exhibition spaces. The Mobile Art Pavilion for Chanel, initially inspired by Chanel's signature quilted bag and conceived through a system of natural organisation, is also shaped by the functional considerations of the exhibition. However, these further determinations remain secondary and precariously dependent on the overriding formal language of the Pavilion. An enigmatic strangeness has evolved between the Pavilion's organic system of logic and these functional adaptations – arousing the visitor's curiosity even further. 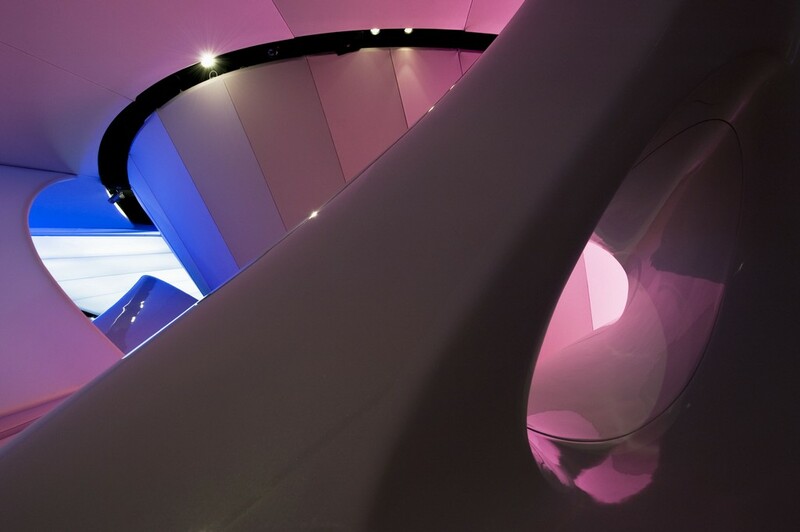 In creating the Mobile Art Pavilion for Chanel, Zaha Hadid has developed the fluid geometries of natural systems into a continuum of fluent and dynamic space – where oppositions between exterior and interior, light and dark, natural and artificial landscapes are synthesised. Lines of energy converge within the Pavilion, constantly redefining the quality of each exhibition space whilst guiding movement through the exhibition. The work of selected artists has been commissioned for the exhibition. 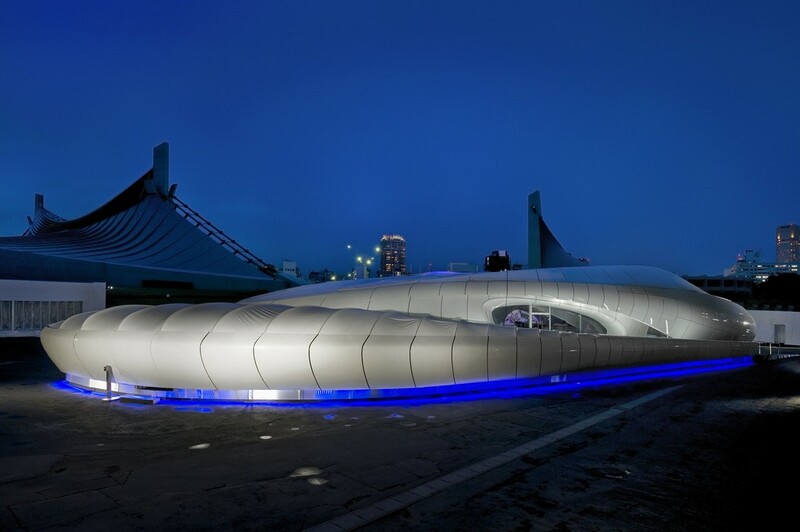 Hadid created an entire landscape for their work, rather than just an exhibition space. Visitors will be guided through the space using the latest digital technology developed in collaboration with the artists. "The fascination of the Mobile Art Pavilion is the challenge of translating the intellectual and physical into the sensual – experimenting with completely unexpected and totally immersive environments for this global celebration of the iconic work of Chanel. 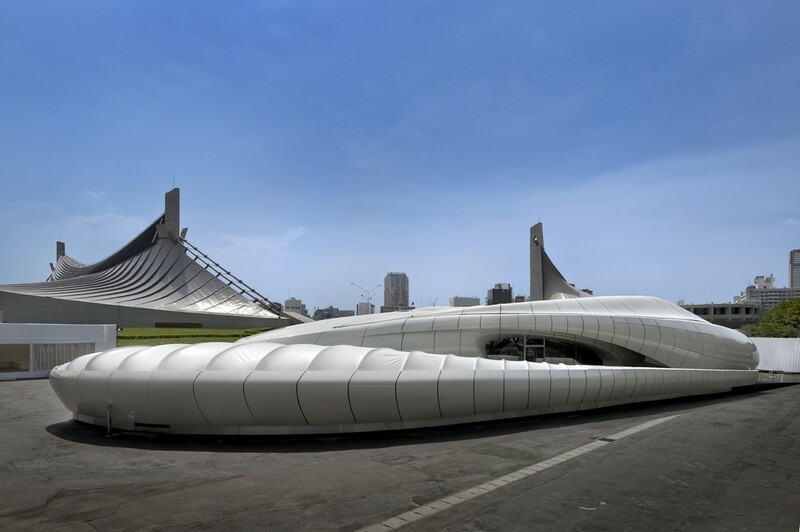 I see the Pavilion as a kind of a total artwork that continually reinvents itself as it moves from Asia, to the USA and Europe," states Zaha Hadid.